European car sales rose for the 17th straight month in January. Europe's auto sector keeps gaining momentum. 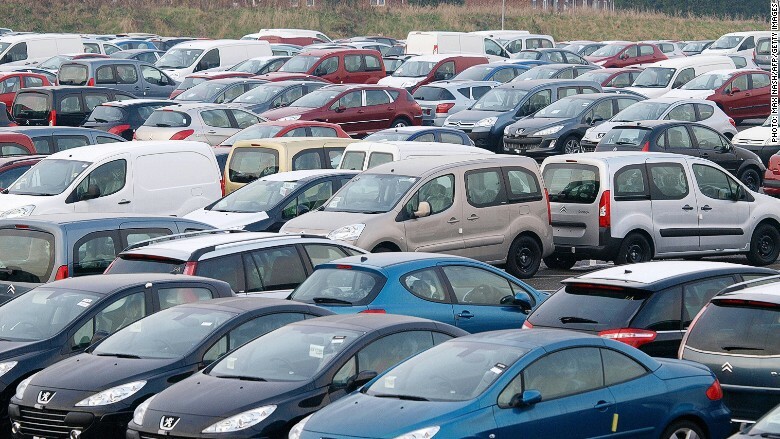 New car registrations in the European Union rose 6.7% in January on the previous year, to nearly 1 million vehicles. Figures released by the European Automobile Manufacturers Association (ACEA) Tuesday revealed strong growth in the five largest markets, led by Spain and Italy. Registrations in the U.K., France and Germany also rose. The data relates to the 28 EU members states, excluding Malta. Car sales have been driving higher since late 2013 but remain well off the levels seen before the financial crisis. New car registrations rose 5.7% last year, the first annual expansion since 2007. The industry group expects modest growth to continue in 2015. It's forecasting annual growth of 2%, or around 13 million vehicle sales. "Our optimism about this early sign of recovery must be tempered with caution, given the economic uncertainties still facing many countries," said ACEA president Carlos Ghosn earlier this month. Ghosn is also the chief executive of Renault and Nissan. The latest figures revealed mixed performance by automakers. Sales at Europe's largest carmaker VW Group (VLKAY), which holds about one quarter of the market, rose 6.8%. Germany's Daimler (DDAIF) -- maker of the Mercedes -- climbed 15%, while France's Renault (RNLSY) added 10%. But Europe's second largest automaker PSA Group, which manufactures Peugeot (PEUGF) vehicles, skidded 1.4%. Many Asian carmakers gained traction in the market. Japan's Mitsubishi (MSBHF) topped the list of climbers with a 101.5% pop in registrations on the previous year. Nissan (NSANF) jumped 36.3% and South Korea's Hyundai (HYMLF) added 8.3%. Those in reverse included Japan's Suzuki (SZKMF), sliding 8.9%.